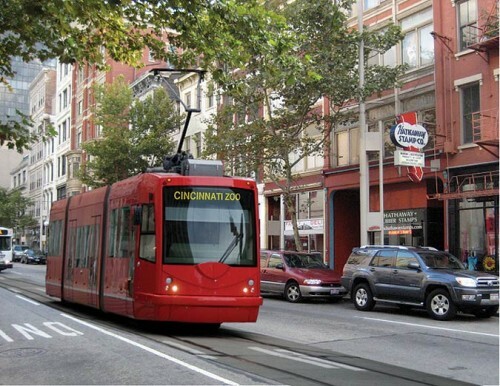 Councilwoman Yvette Simpson nearly salvaged the plan with a proposal to keep going with $35,000 per day of streetcar construction while an independent analysis was done. Vice Mayor David Mann was ultimately unmoved by that bid. The project was a focal point in Mayor Mark Mallory's State of the City address last year, which came shortly after the 18-stop line broke ground. The route was to run from the river front through downtown and past Findley Market in the Over-the-Rhine neighborhood. Before work began, however, Ohio Governor John Kasich moved to strip the project’s funding. 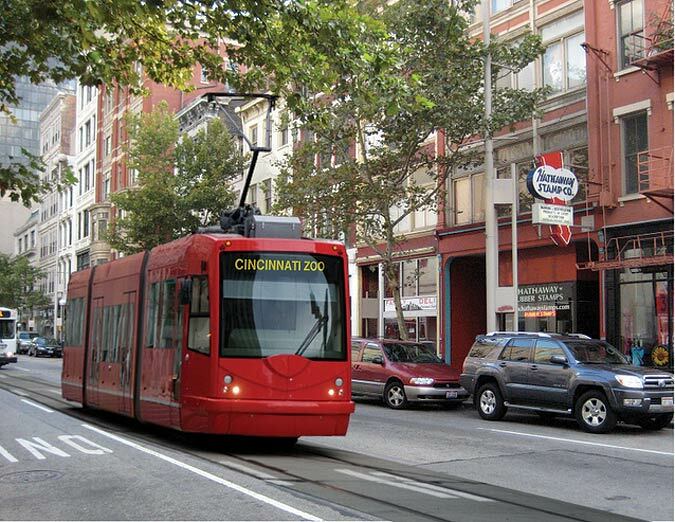 Cincinnati voters ultimately voted down a ballot measure that would have banned rail funding in 2011, and the light rail line was back on track. Streetcar supporters will “regroup” on potential legal action to keep the streetcar project alive. In its ongoing march to reclaim downtown neighborhoods marred by blight and suburban exodus, Cincinnati this week added Pendleton to the Neighborhood Enhancement Program. The district is known for its art center, and was a natural choice for the program now in 14 areas of the city. 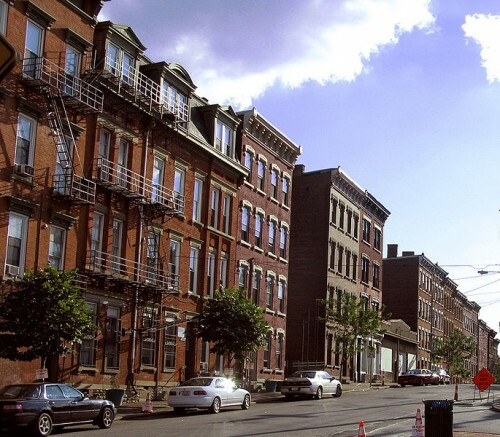 Like its neighbor to the west, Over-the-Rhine, Pendleton has struggled with crime. The “90-day blitz of city services” offered by NEP is designed to begin the process of long-term revitalization for the neighborhood by addressing that issue. Kennedy Heights saw a 16 percent drop in crime after it embarked on NEP earlier this year. The program will be reevaluated every 90 days, and again six months after completion. Cincinnati hopes the neighborhood’s defining characteristics will be its long-term salvation: its art and its artists. The city will add historic arts district signage along a new “boulevard of art,” drawing at first on $10,000 in seed money from a bevy of corporate and community sponsors. If the atmosphere at Wednesday’s announcement was a prologue for what’s to come, the future looks bright—Pendleton Neighborhood Council President David White’s speech was delayed slightly for a dance party to Martha and the Vandellas' "Dancing in the Streets." 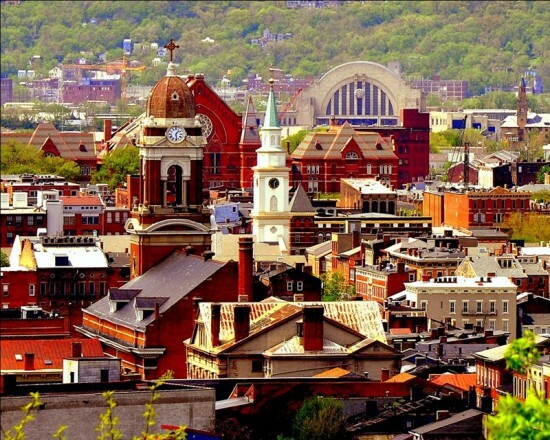 Cincinnati’s Over-the-Rhine neighborhood is surging back from disrepair, becoming the poster-child for Porkopolis' return to progressive urbanism. After two years of construction, the historic neighborhood’s Washington Park reopened to the public Friday. 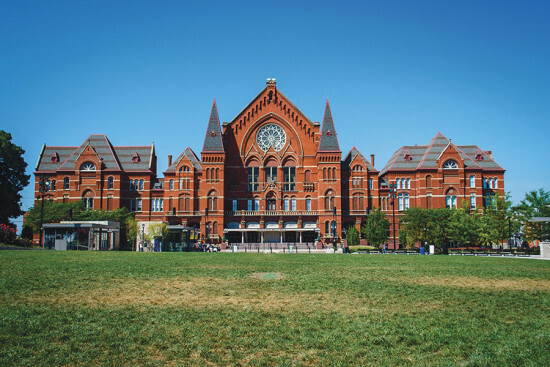 The $48-million renovation is the latest investment by Cincinnati in its urban character—much was made of Washington Park’s likelihood to attract and sustain investment nearby. A number of amenities were added, including a children’s playground, a dog park, a fountain, an event plaza and a stage for live performances. Some historic elements of the 1855 park remain, including a replica of a Civil War-era cannon. But the thrust of the project was reinvention. Once 6 acres, Washington Park is now 8 acres and boasts a new playground as well as a 450-space subterranean parking garage. Part of the original park was a cemetery; the renovation team had to move 53 bodies still buried underneath to put in the underground parking structure. 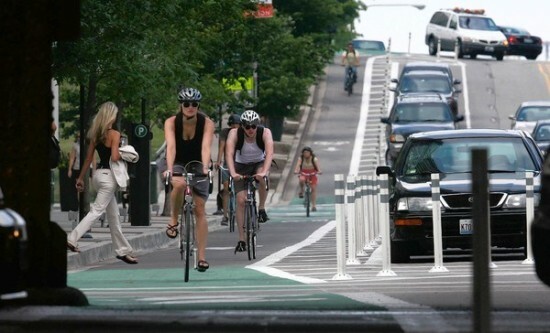 Public transport, walkability, and green space are part and parcel with an economically vibrant urban core. 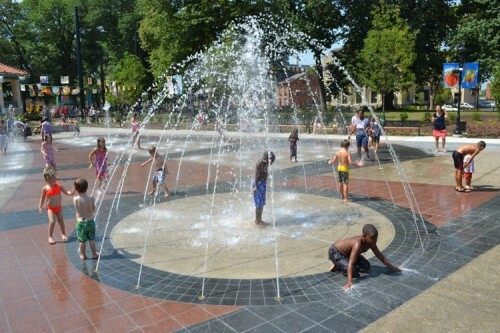 Along with Fountain Square and the Smale Riverfront, the reopening of Washington Park could be a milestone in the redevelopment of Cincinnati’s urban identity.